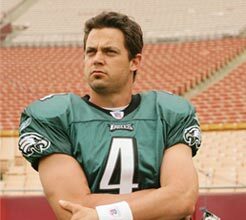 Browns making calls to Philly about Kevin Kolb? Two weeks into the season with the Browns offense in stuck mode has the rumor mill churning, and that includes talk of a phone call to the Philadelphia Eagles about the status of QB Kevin Kolb. Kolb, who was handed the starting job by coach Andy Reid after the team moved Donovan McNabb, was benched Tuesday afternoon in favor of Michael Vick, how was the QB during the teams 35-32 win over Detroit last week. 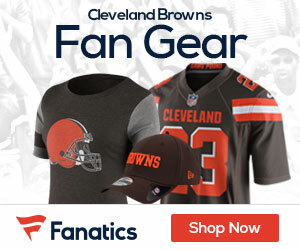 Reports say the Browns reportedly contacted the Eagles on Tuesday night regarding the availability of Kolb but were turned away rather quickly. Wednesday Reid was asked about the issue of trading Kolb (the trade deadline is October 19th), and all he stated was it was too far off in the future to know if anything like that would happen. Sunday in the 16-14 loss to the Chiefs, Seneca Wallace became 15th starting quarterback in 11 years for the team, and once again, the club did little on offense to make anyone think the team was on the right track. Could Kolb be the answer for the teams struggling offense, and if so, what would it cost the Browns to get him? Please no. Not until we’ve seen him play post-concussion. Getting his bell rung in preseason 08 was the turning point that made Derek Anderson go from potential QB for the next ten years to washout. Until there is some information on how Kolb’s performance post-concussion, I want no part of him. It won’t make any difference. You still have Daboll as offensive coordinator. Until Mangina and Dumpboll are gone we are destined to repeat as bottom dwellers of the AFC.